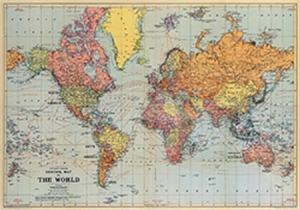 Brighten up your gift wrapping with this beautiful reproduction of Stanford's vintage political world map. 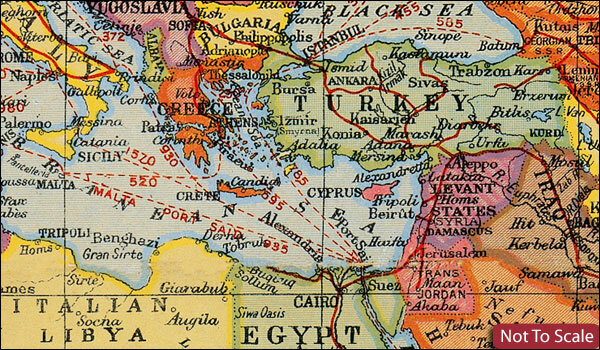 Originally published in 1921, our political world map showed the then newly-independent European nations, Britain's imperial possessions and post-WWI League of Nations mandates. Other features include the world's largest rivers, major railway lines and principal international shipping routes, including distances. Be careful unwrapping your presents - the paper is so beautiful that you may want to hang it on your wall afterwards! Buy your world map wrapping paper today!